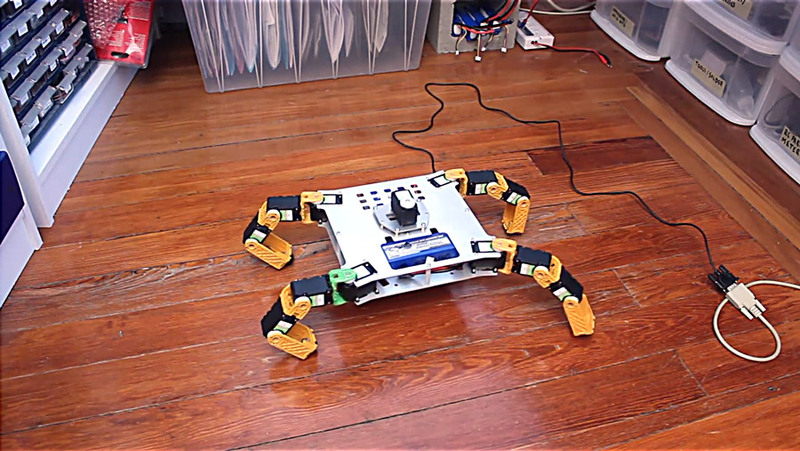 Forum User jpieper has made a 3DOF quadruped robot of his own design, using Dongbu DRS-0101 servos. It starts off slowly, but is surprisingly speedy and exceedingly steady. This robot has since been upgraded with a turret and a gimbal, making it Mech Warfare Ready. Check out the thread for more updates! jpieper has a new chassis in the works, and intends to use an integrated odroid daughterboard in the next version. Very cool! User Dan Thilderkvist used a Trossen Robotics PhantomX AX Hexapod in his master thesis, “Motion Control of Hexapod using Model-Based Design”! 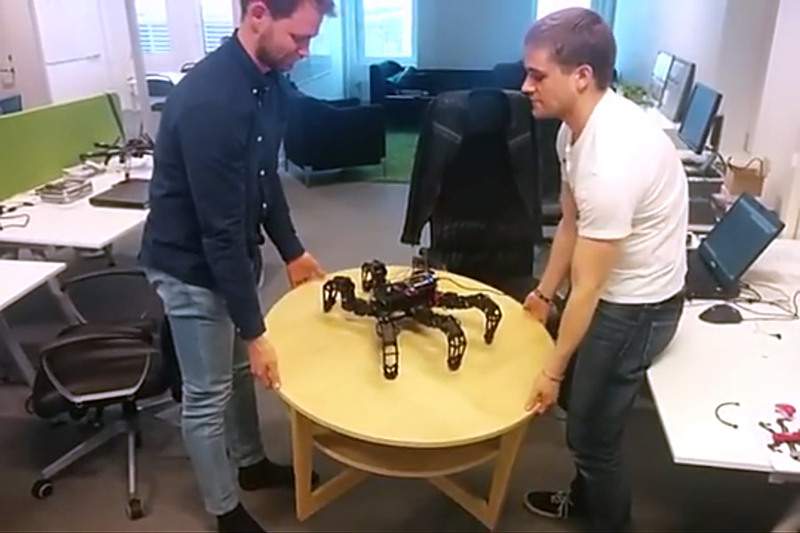 This hexapod keeps itself level as a table beneath it is tilted, jostled, and generally jarred about. Short video, excellent work! 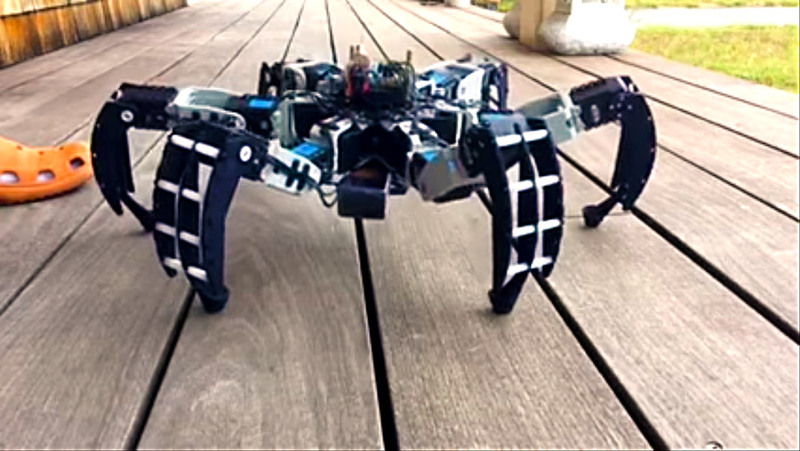 Forum User tigakub has made a hexapod of his own design, and there is a fairly active forum post to join in on. The legs remind me of prosthetic running blades, which is not only a cool form to take, but they add subtle functionality as well. This robot has been upgraded several times throughout the thread, and it is interesting to follow its evolution! This video is one of a few in the thread, showing off the Adaptive Load Balancing abilities of the robot. HR-OS1 at WCTD Creating STEAM Conference!